Portsmouth is set for the music event of the summer this weekend as Victorious Festival kicks off. The popular festival returns to Southsea Common for the Bank Holiday weekend, from Friday to Sunday. Now in its seventh year Victorious Festival will be headlined by Paul Weller, The Libertines and The Prodigy – and feature performances from many more acts throughout the weekend. And in order to accommodate the event this weekend there will be a series of full and partly road closures in place. All of the road closures that will be put in place during the event have been announced. - Duisburg Way – From its junction with Clarence Parade to 100m South East of its junction with Pier Road. - Clarence Parade - In its entirety. - Palmerston Road – From the junction of Clarence Parade to the junction of Osborne Road. - Jack Cockerill Way – In its entirety. - Jack Cockerill Way Spur – In its entirety. - Clarance Esplanade – From west of the junction of Jack Cockerill Way to east of the junction of Jack Cockerill Way Spur. From 10.30pm to 11.59pm on Friday 24, Saturday 25 and Sunday, August 26. - Clarence Esplanade – From its junction with The Dell to its junction with Jack Cockerill Way Spur. - South Parade – From its junction with The Dell to its junction with Jack Cockerill Way. - Burgoyne Road – In its entirety. - St Catherine Street – In its entirety. - Beaufort Road – In its entirety. - Somerset Road – In its entirety. - Beach Road – In its entirety. - Clarence Road – In its entirety. - Florence Road – In its entirety. - Onslow Road – In its entirety. - Malvern Road – In its entirety. - The Vale – In its entirety. - Maple Road – In its entirety. - The Circle - In its entirety. - Lennox Road North – From its junction with Freestone road to its junction with The Circle. - Victoria Road South – From its junction with Freestone road to its junction with Clarendon Road. - Kent Road – In its entirety. - Queens Grove – In its entirety. - Queens Crescent – From its junction of Queens Place to its junction of Kent Road. - Ashby Place – In its entirety. - Serpentine Road – In its entirety. - Netley Road – In its entirety. - Auckland Road West – In its entirety. - Auckland Road East – In its entirety. - Osborne Road – From its junction with Clarendon Road to its junction with Duisburg Way. - Elphinstone Road – In its entirety. - Ashburton Road – In its entirety. - Shaftsbury Road – In its entirety. - Nightingale Road – In its entirety. - Western Parade – In its entirety. - Castle Road – From the junction of Southsea Terrace to its junction with Hambrook Street. - Southsea Terrace – From its junction with Pier Road to its junction with Western Parade. - Duisburg Way – Eastbound from its junction with Pier Road Roundabout for a distance of 100m. - Gordon Road – Eastbound from its junction with Victoria Avenue to its junction with Pier Road. From 10.30am to 11.59pm on Friday 24, Saturday 25 and Sunday, August 26. - Grove Road South – Westbound from its junction with Marmion road to its junction with Kent Road (except for taxis and buses). - Portland Road – Southbound from its junction with Grove Road South and its junction with Clarendon Road (except for taxis and buses). - Clarendon Road – From the junction of Richmond Road to its junction with Portland Road (except for taxis and buses on the eastbound carriageway). - Pier Road – From its junction with Bellevue Terrace to its junction with Duisburg Way. - Clarence Esplanade – Clarence Esplanade from the flood gates (west) to Jack Cockerill Way, plus 3 spaces to the west of the floodgates. - Avenue de Caen – In its entirety. - Victoria Avenue Spur – In its entirety (Except for coaches and the vehicle removal programme). - The Dell – In its entirety. - Victoria Avenue – In its entirety (Except for coaches). 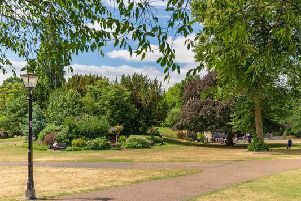 - Clarence Parade – 30 metres to the east of Serpentine gate (10 Bays). - Duisburg Way – From a point 5 meters east of Common Car Park Exit for a distance of 10 Meters (2 Bays). - Clarence Esplanade – From east of the bus stop outside the Blue Reef Aquarium to west of the D-Day car park entrance. The diversion route during closure times listed on Clarence Esplanade and Avenue de Caen will be Jack Cockerill Way, Clarence Parade, Duisburg Way, Pier Road and vice versa. The diversion routes during the temporary prohibition of driving between 10pm and 11.59pm on Friday 24, Saturday 25 and Sunday, August 26: Kings Road, Elm Grove, Victoria Road South, Richmond Road, Clarendon Road, South Parade and vice versa. Diversion route for Pembroke Road (southbound only) – Museum Road, High Street and Pembroke Road. Reason for making the order The Order is required to allow for the safe set up of event infrastructure, for the Victorious Festival event to take place and to reduce the disruption to traffic likely to be caused by the event. A copy of the Temporary Order and a plan may be examined at the Information Desk, Ground Floor, Civic Offices, Portsmouth during normal office hours.